For those on a smaller budget or small groups of ten drivers this is a good way to experience the Daytona Circuit in Milton Keynes. 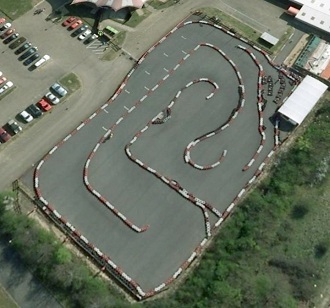 The North track is ideal for a quick blast on their single-engine karts and is a well though-out addition to the main venue. All junior events are also held on this track, which has excellent visibility for the parents who will be cheering them on. Take the H5 towards Central Milton Keynes. The 9th roundabout is traffic-light-controlled. Turn right onto Grafton Way. At the next roundabout turn left onto Dansteed Way. The circuit is second on the left. From the A5 follow the brown chequered flag signs. Take the Central Milton Keynes exit and follow the chequered flag signs to the circuit. A 20-minute open (non-exclusive) practice session driving single-engine karts. Minimum age is 8 years.